Wicca, like many other things, unfortunately can require money. Setting up an Altar can go two ways: you either shop around and buy every little thing your heart desires, or you get creative in order to get what you need. I am not fortunate enough to be able to go on a Wiccan shopping spree, so here are somethings I have come up with to help those in my situation. It’s amazing. For multiple reasons. However, only one reason is why we are here today. Wiccan shopping. Much of Wicca is candle based. Dollar Tree, most of them, has a surprising collection of candles. They range from pillar to tealight. But the best catches I have seen so far, are the candle holders. The Dollar Tree I went to had a wide selection of candle holders for all types of candles. Along with candle holders, I found some odds and ends that I could use in my practice. In one aisle, I found wind chimes with bells on them. Bang. Got a bell now. They also had some interesting chimes with the moon depicted on them, that I went ahead and got because, a dollar. In the kitchen aisles, I found a beautiful wine goblet with black tinting. Now I got a goblet/chalice. I also found little dishes to hold the water and salt on my altar. Both practical but still cheap. Depending on the time of year, you can get mini decorations for your altar. For Yule I found cute little trees with berries and snow. Along with sprigs with berries. For Samhain, the options are endless. As are decorations for Spring. Get this, $.97 taper candles in the colors needed for your directions. Bang. You’ve just picked out a major element for your altar in less than $5. They also have a wide range of incense right in store. I was shocked when I wandered down the candle aisle and found the incense. And they’re each less than $2! Online, Walmart carries cauldrons with our Triple Goddess, and pestle and mortars. Very reasonably priced. And if the bell at Dollar Tree didn’t strike your fancy, you can also get hand bells on Walmart’s website. From my browsing, I have discovered that Etsy is a witch’s dream supermarket. You can get kits! I’m talking kits with a wide range or herbs one might need when starting their own collection. Kits for crystals and stones, kits for candle magic. Some kits are for a beginner’s altar. These come complete with altar cloths, candles, a cauldron, a bell, and many other items you might find yourself wanting/needing. Some of these kits can get a bit pricey, but it’s comforting to know that a fellow witch made or packaged the items with the right energy. Plus, you’re financially helping out another witch while helping yourself. The price here is for convenience and purity. These items are made for rituals and spells. They are all in one place for a simple order, shipped right to your house. The thing with Amazon, is that most of their items are being sold by individual store owners. People make their living buying items, and then selling them on Amazon. 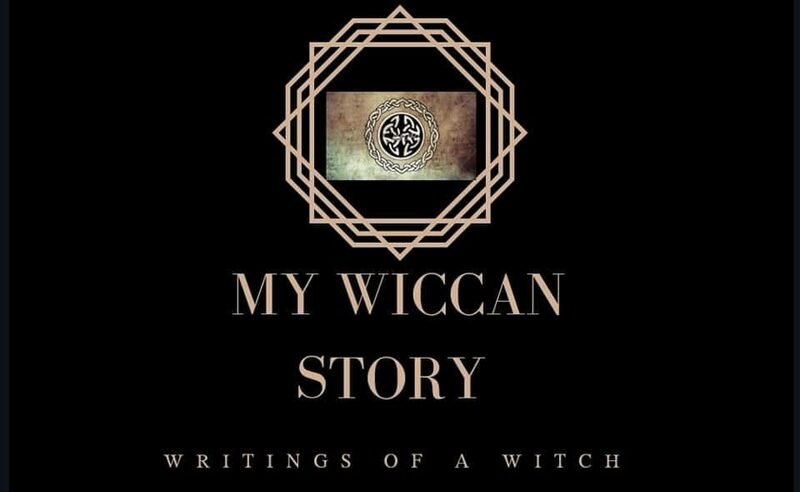 Items that pop up with Wicca in the title, are most likely items sold by people who know what they’re doing. I have gotten a beautiful altar cloth from Amazon, along with books on the practice. You can find jewelry and other Wiccan paraphernalia on Amazon, as well as items needed for your altar. Prices vary rather drastically on here, so be sure to look at the bottom of an item’s page to see items that are similar. You may find what you need at a lower cost. The key, is to be creative. The energy you spend and connections you make are what truly make your tools magical. So don’t beat yourself up for “cutting corners” because you’re not.